Is There a Way to Be Saved? 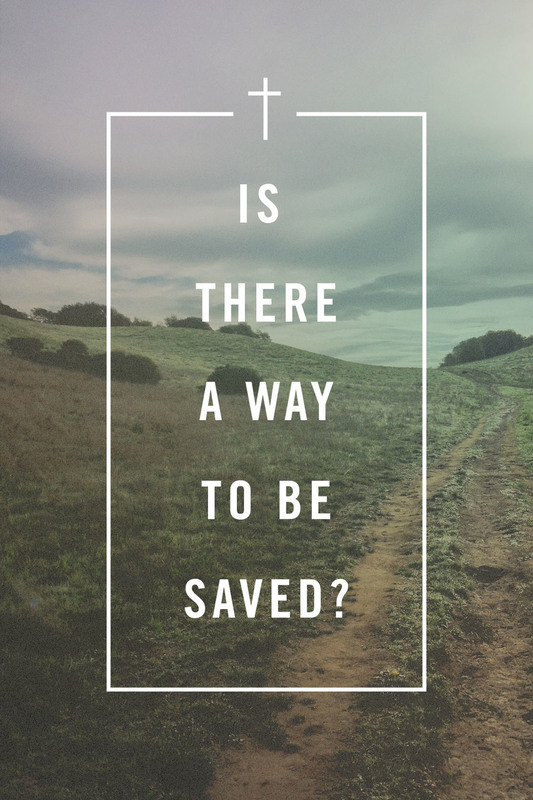 “Is There a Way to Be Saved?,” adapted from the introduction to the ESV Gospel of John, explains our need for salvation and points to Christ, who offers salvation to all who trust in him. Even though you may recognize John 3:16 when it shows up on posters at sporting events, do you really know what it means? And who is this John person anyway? By way of introduction, John was one of the twelve disciples that followed Jesus during his ministry, and he is also the author of the books of the Bible called First, Second, and Third John, as well as Revelation. He wrote the Gospel of John, including the verses that are referenced in this pamphlet, sometime between A.D. 70 and A.D. 100 from a city in Asia Minor (modern- day Turkey). John’s Gospel is crucial to learning more about Jesus and discovering what it means to become a Christian. His purpose in writing this book of the Bible is to evidence that Jesus is the Son of God and our Savior. By believing in Jesus and trusting in the salvation from our sin that he offers, people can gain eternal life. Jesus said, “Everyone who practices sin is a slave to sin” (John 8:34). If we are honest with ourselves, we cannot deny that from the moment of our birth we have done wrong things—things that make us guilty before God and deserving of his judgment. The Bible calls these wrong things sin, and sin separates us from God. And because we are separated from God, we face the awful prospect of his eternal wrath (John 3:36). Can anyone save us from God’s wrath and assure us of heaven? Some people believe that they can get into heaven by doing good works, or by following the teachings of a religion, or even by giving money to churches or charities. But Jesus clearly said that none of these things would save us: “I am the way, and the truth, and the life. No one comes to the Father except through me” (John 14:6). No human effort can give us eternal life. In fact, the only “work” that can save us is the “work” of believing in what Jesus has done to accomplish our salvation: “This is the work of God, that you believe in him whom he has sent” (John 6:29). And to those who so believe, the promise of God stands firm: “To all who did receive him, who believed in his name, he gave the right to become children of God” (John 1:12). John the Baptist, a biblical prophet, calls Jesus the “Lamb of God, who takes away the sin of the world” (John 1:29). Jesus explains that our salvation comes through his death on the cross as the perfect and sufficient sacrifice for our sin (John 3:14–15). When reading the Gospel of John, for example, you’ll notice that chapters 18–19 describe Jesus’ death and then chapter 20 tells of his glorious triumph over death as he rose from the dead. Jesus’ resurrection means that he can give eternal life to all who believe in him: “I am the resurrection and the life. Whoever believes in me, though he die, yet shall he live, and everyone who lives and believes in me shall never die . . .” (John 11:25–26). John 11:26 ends with Jesus asking, “Do you believe this?” It is a question that every person must answer: Do you believe that Jesus Christ is the Son of God? Do you believe that he died on the cross to free you from guilt and judgment of sin? Do you believe that he rose from the grave, breaking the power of death and making a way for you to have eternal life in heaven? Heavenly Father, I believe that Jesus Christ is your Son, and that he died on the cross to save me from my sin. I believe that he rose again to life, and that he invites me to live forever with him in heaven as part of your family. Because of what Jesus has done, I ask you to forgive me of my sin and give me eternal life. Help me to live in a way that pleases and honors you. Amen. Read the Bible. Jesus said, “Whoever has my commandments and keeps them, he it is who loves me” (John 14:21). One way to show our love for God is to read and live out the commands set forth in the Bible, God’s holy Word. Read the Bible daily to learn how to live a life that honors God and gives testimony to others that Jesus has made a difference in your life. Pray. Communication with God through prayer keeps your focus on eternal things. If you are truly following Jesus, your desires will be for God’s glory and for his kingdom, the church. Jesus promised, “If you abide in me, and my words abide in you, ask whatever you wish, and it will be done for you” (John 15:7). Seek Christian fellowship. Meeting regularly with Christian brothers and sisters allows you to follow Jesus’ example of love and to fulfill his command to “love one another . . . just as I have loved you” (John 13:34). Just as Jesus surrounded himself daily with his disciples and followers, find a Bible believing church where you can meet with other Christians. There you will find joy and encouragement in the fellowship of God’s people.